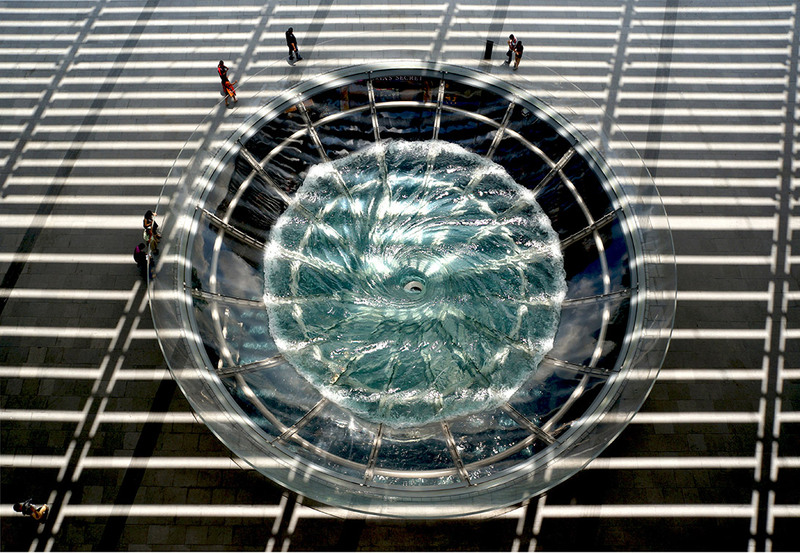 A large whirlpool forms inside a 70-foot diameter acrylic bowl and falls 2 stories to a pool below. 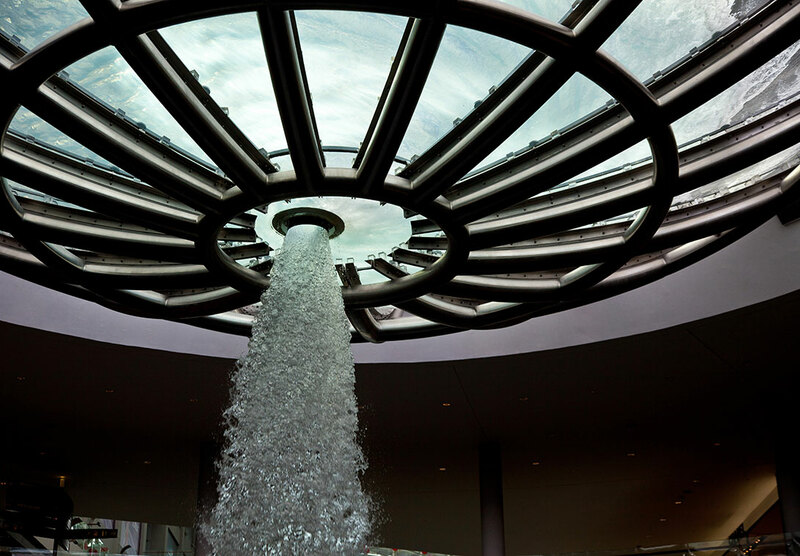 The artwork, a collaboration with architect Moshe Safdie, functions as both a skylight and a rain collector. 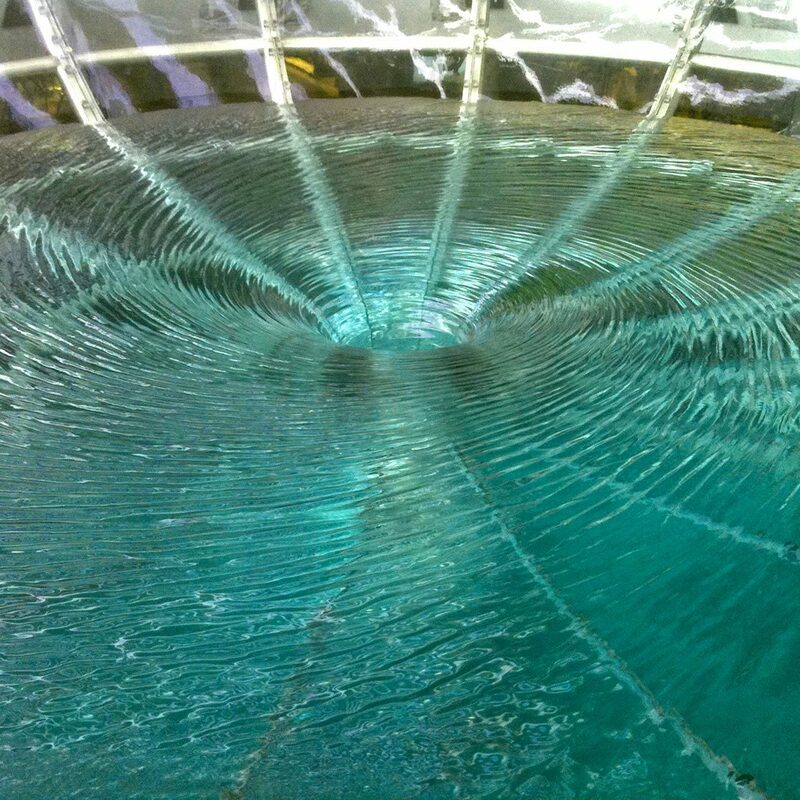 The rain water is recycled back to the whirlpool and also fills a canal that runs through the atrium. The pumps that direct water into the bowl are turned on and off a few times an hour so the whirlpool is always changing in shape and intensity. 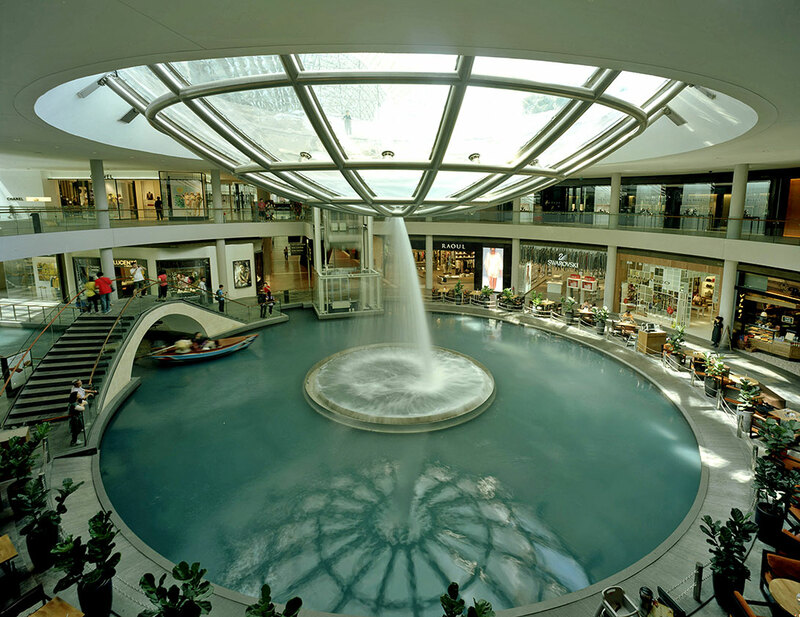 At peak flow rates there are 8000 gallons per minute falling through the atrium and 200 tons of water swirling around in the bowl. Extensive prototyping and engineering went into integrating the artwork into the structural and mechanical systems of the building. Completed in 2011.